Quote: "I can’t say I was shocked, but I was definitely hurt, disappointed. I’ve been in conversation with the family. Everyone’s devastated, everyone. I love Bobbi Kristina, I love Whitney, I love Bobby Brown. I love Cissy - I love them all. But we just have to wait for what happens next. All I want to do is be there for them. I just need to pray." Chaka Khan is sending positive thoughts to Bobbi Kristina Brown as she continues to fight for life following a near-drowning incident at her home in Georgia on 31 January (15). Quote: "I'm not even looking for nobody (sic). Here's the thing: you know what? I like my bed. I like my television programmes. For me, my bed is my man, the television, my boyfriend. I'm happy." 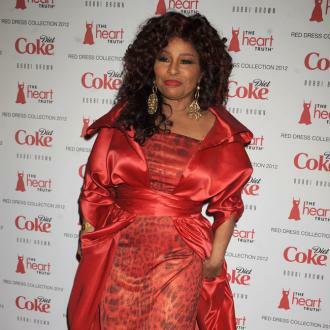 Singing superstar Chaka Khan is enjoying life as a single woman after two failed marriages in the 1970s. Quote: "Donna and I had a friendship for over 30 years. She is one of the few black women I could speak German with and she is one of the few friends I had in this business." Soul legend Chaka Khan remembers late disco diva Donna Summer. Fact: Chaka Khan will be inducted in to the Hollywood Bowl Hall of Fame alongside country star Reba McEntire in June (12). Both stars will perform at the ceremony, which will open this year's (12) Bowl summer season. Quote: "She's such a lovely little girl, she's such a lovely young woman. I'm concerned... but I told Cissy I have a lot of resources to help children... and I love her like she's a niece... The big thing we have to do now is make sure this whole scenario doesn't repeat itself and that Bobbi Kristina is taken care of." Chaka Khan has offered to help Cissy Houston take care of her granddaughter following the death of her mother, Whitney Houston. Quote: "I've cried for her a lot over the years... In a way I've mourned her because I felt something was gonna happen because she was so close to the wire." Chaka Khan always feared her troubled pal Whitney Houston would meet an early death. The superstar died on Saturday (11Feb12), aged 48. Fact: Legendary soul singer Chaka Khan has teamed up with rapper Snoop Dogg for her new duets album. The duo spent the past weekend (11-12Jun11) in the studio to record tracks for Khan's latest record, which will also include collaborations with rocker Steven Tyler and R&B star Akon. Quote: "We literally just clicked. We were at Elton John's party and we got to talk and we both wanted to sing together. We said, 'Let's do a mutual song, by you know, a neutral band - a band that we both love,' and we both love Zeppelin." Chaka Khan on her plans to record a Led Zeppelin cover for her new duets album with Aerosmith star Steven Tyler. Fact: Chaka Khan is to be honoured with the 2,440th star on the Hollywood Walk of Fame. The soul/funk legend will be inducted into the famous sidewalk on 19 May (11). Quote: "Those outfits are torture - I could barely move! You suffer to look the part." 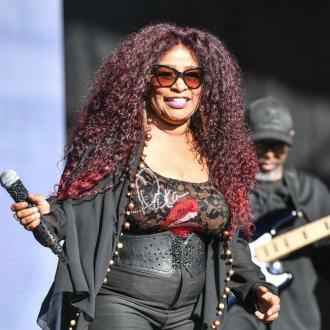 Chaka Khan is feeling the strain of her waist-cinching stage costumes after embarking on a girl power tour with Lulu and Anastacia. Quote: "He is disrespectful. He needs to get that ego of his under control or it will be his undoing." Singer Chaka Khan offers some advice to rapper Kanye West. Quote: "I'll have one person to do my hair and make-up. 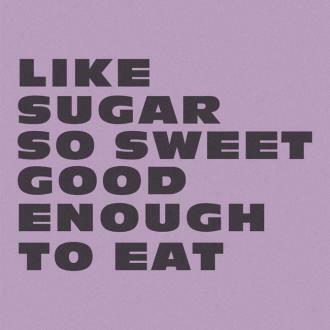 We know what it is to work hard. In the recession you have to keep it low - no more roses on the floor." Anastacia is sticking to a budget for her upcoming tour with Lulu and Chaka Khan. Quote: "I've been the background music to people's lives. How many babies were conceived to SWEET THING, or I FEEL FOR YOU?" Soul legend Chaka Khan on her place in R+B music history. Fact: John Travolta, Kelly Preston and Priscilla Presley were among the celebrities who rocked out to Chaka Khan at the Scientology Center's 37th anniversary gala in Hollywood on Saturday (05AUG06). Quote: "I am so honoured to be honoured by my own people. This means everything to me." Chaka Khan was delighted to win a Lifetime Achievement Award at last night's (27JUN06) Black Entertainment (BET) Awards in Los Angeles.